Home » Blog » What’s Causing Your Dry Mouth? What’s Causing Your Dry Mouth? Posted December 22, 2016 by Andler Dental & filed under Oral Health. Dry mouth is an annoying, sometimes sporadic occurrence that can be caused by any number of things. But no matter how annoying it is, it’s concerning to everyone at my dental office in Madison when dry mouth lasts for a prolonged period of time. Dry mouth isn’t just an obnoxious, uncomfortable thing that happens…it can be dangerous to the health of your smile. Why Is Dry Mouth Bad? When dry mouth happens, it means your salivary glands aren’t producing enough saliva to keep your mouth wet. Mouths need saliva to protect teeth and to stay healthy. Although it seems like a minor thing, saliva is key to defending teeth against bacteria, neutralizing dangerous acids, and washing away leftover food particles that otherwise would stick around. Without saliva, mouths are at increased risk for tooth decay and other intraoral problems. Like we mentioned, dry mouth can be caused by numerous things, some creating temporary uncomfortableness, others leading to a chronically dry mouth. 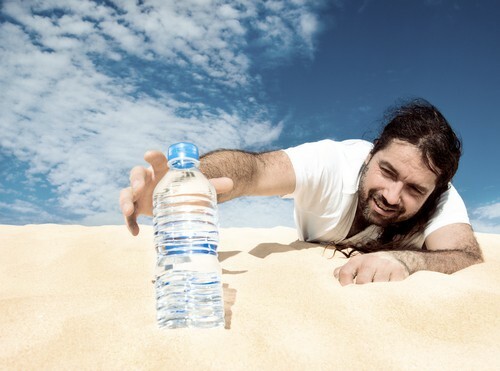 Dehydration – One of the most common reasons we experience dry mouth is due to dehydration. Maybe you just worked out for a long time and didn’t replenish your body, maybe you had a crazy day at work and just didn’t have time to drink enough water, or maybe you’re getting over a stomach bug that ridded your body of essential fluids. Either way, your body and your mouth need water to function properly. Make sure you’re getting enough throughout the day to keep dry mouth at bay. Medications – Certain medications, both prescription and over the counter, can cause dry mouth. Make sure you read the precautions and common side effects of any medicine you take. If you have to take a medication daily that may lead to dry mouth, talk with your dentist in Madison to plan out how you can combat it. Disease – Some diseases and medical conditions can also lower your amount of saliva, leading you to experience the symptoms of dry mouth. Some common diseases that have been linked with dry mouth include diabetes, Parkinson’s, HIV/AIDS, and Sjögren’s syndrome. Each case of dry mouth is different, and effective treatment can vary from person to person. There are several solutions available including ensuring you’re drinking enough water and avoiding caffeine, alcohol, and smoking. If more in depth treatment is needed, your doctor may adjust your medication or recommend a saliva producing prescription medicine. If you’re concerned dry mouth may be causing dental problems, or you’d like to talk to someone about getting some relief, call my Madison dental office to schedule an appointment today. We’ll be happy to help. Welcoming patients from Madison, Middleton, Verona and beyond.